To drive traffic to our fan table, we'd like to organize a "Treasure Hunt" that involves Seeker fans in costume. each cosplay will have a stack of small tickets (similar to those you get at raffles) that they'll hand out to any Dragon*Con attendee who inquires about the Seeker cosplay/takes a photo with the cosplay/etc. Basically, any interaction with the cosplay, attendees get a ticket. The cosplay will explain that once you collect 3 tickets, you can redeem a prize at the Seeker fan table. We currently have a couple of dozens Omen Machine hats and playing cards, and other small items. The treasure hunt will last until supplies last. We're hoping to get at least 15 people in costume to participate. We can also do the same contests we had at past conventions since they were very well received. "We can start this thread on a happy note. Dragon*Con has accepted a proposal to run a Terry Goodkind panel in the SciFi Literature Track. Time & date: The "Seeking Goodkind" panel has been scheduled on Saturday, September 3rd right after the parade at 11:30 am (subject to change). Re. the Fan Table, we applied a while ago and are waiting for a response. This year, the organizers have changed the submission process, and they'll pick the fan tables rather than assigning them on a first-come-first-serve basis like they've done in the past. As soon as we hear back, we'll post an update." "Fantastic news tweeps! 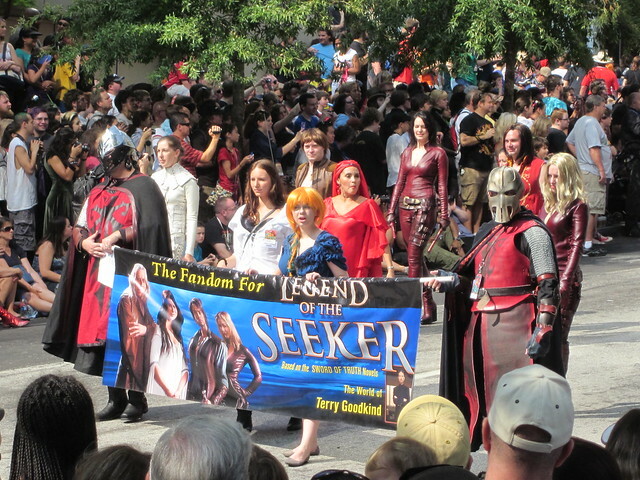 The Seeker fan table is confirmed at Dragon*Con. "Kudos to Laura for helping to make the Goodkind panel a reality. We are also hoping to do another live Seeker Cast recording again this year. We will cover both the books and the TV show so everyone can come and get involved. As Laura mentioned the exact day and time for any Dragon*Con panels are subject to change right up until the con, so we'll have to wait and see when all the events are taking place. 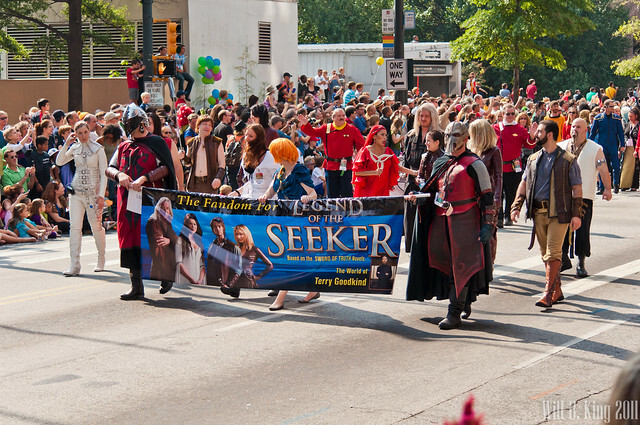 It is time to start planning for the parade (past time actually) and since I have yet to see anyone bring up a list for Legend of the Seeker, I guess that I will go ahead and get it going. Who here is wanting to join us in the parade under the seeker banner?" "Legend of the Seeker costumer parade at Dragon*Con: please post here t.co/XbusKa1 if you'd like to participate. Thank you." " 'Legend Of The Seeker' fans. I'm Petee and I own the screen-used Richard hero costume. At MegaCon I met Stefanie who owns the screen-used Cara hero costume. I know a few others who are doing Mord Siths and Confessors. We'd like to set up a day and time for a Photoshoot. 11am on Sunday has been proposed, as that won't interfere with either the DC or Marvel shoots. Once we get the day and time then we'll set up a meet-up point. --WHEN: 11PM, Friday, Sept 2nd/2011. "We'll set up soon skype calls to start planning for the fan table - and set up a google group to make it easier to communicate. If you'd like to be added to the Fan Table google group, please email laura@saveourseeker.com. We have a room (aka ConSuite) confirmed on Saturday after the "Seeking Goodkind" panel. The idea is to continue the good conversation after the panel. Panelists of the LotS session at Dragon*Con will be the fabulous podcasters of the @seekercast ( twitter.com/SeekerCast ) plus two more people. If you’re a Terry Goodkind fan, you won’t want to miss the Goodkind Meetup! Come by the Goodkind ConSuite after the “Seeking Goodkind” panel (Sci-fi/Fantasy Lit. Track, Sat 11:30AM) to mingle with other Goodkind fans and enjoy ice cream and drinks! Sat 2PM, 223/226 (Hyatt). "Legend of the Seeker Fans Photo Shoot: bit.ly/rn2qZe "
"Legend of the Seeker fans with or without costume, please join the group photo shoot. 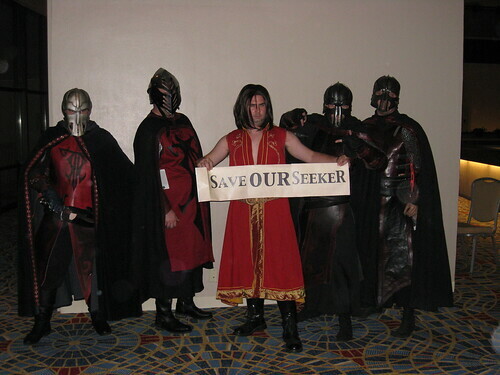 We will have a big SAVE OUR SEEKER sign in support for a third season of the show. Fri 11PM, 10th Floor Lounge (Marriott). " Check out Cara's cutout poster with Mistress Jenn! A smirking Cara will welcome all our visitors at the Seeker fan table at DragonCon. Courtesy of Kurt Geoppinger, from The Seekercast Podcast. 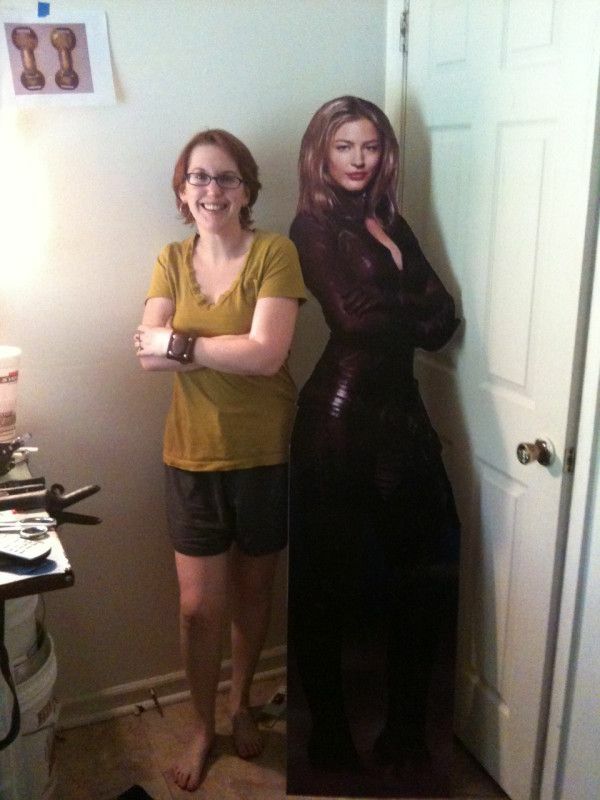 I SO want that Cara cutout!!! Many are on Facebook but you'll need to invite them to be your friends to see their posts. Fox 5 is looking for costumes at DragonCon, on Friday morning, 7:30-9:00AM at the Sheraton. Please spread the word everywhere!! * Cash is much faster than using a credit card. Use cash instead of plastic if you can. Print it and bring it with you. It speeds up on-site processing by a factor of ten. * Don’t queue up until registration opens! It just makes the lines longer and doesn’t do anything to speed things up. If you do queue up, be patient and know it’ll take longer. * If your address information is incorrect, change it later, not while at the registration station. And remember, be nice to your fellow fans who work in Registration. They’re all volunteers, and they work very hard to do their best by y’all. Please follow @daily_Dragon on Twitter to stay up-to-date during the weekend and look for a new issue of the Daily Dragon at the information booths each morning. "Spent a long time pimping Seekers@DragonCon today. This post makes us official: dragoncon.livejournal.com/2711304.html "
"We just finished our first call with @mlbm1970, @dragonfly04041 and other Seekers to plan the fan table at Dragon*Con. 39 days to DC!" "Big shout out to Legend Costumes for lending us an agiel and a dacra for our #DragonCon fan table. Thank you Tracy!" "Great chatting with @mlbm1970, Stephanie and Jason. 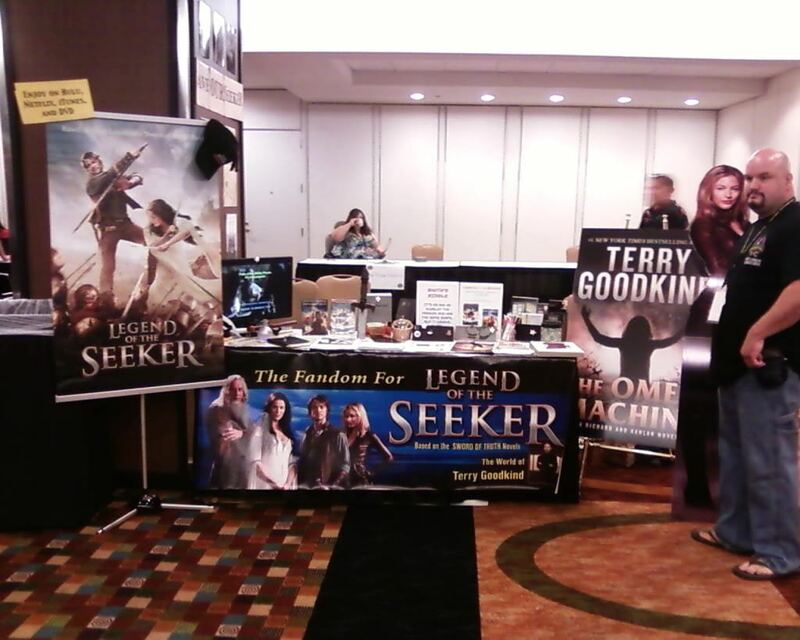 The Seeker fan table is almost ready." "Check out the banner at the bottom of the DragonCon ConSuite page, home.earthlink.net/~dc_consuite/ promoting the GoodKind ConSuite *happiness* "
"Unique Geek podcast: Sara, DragonCon fan table & info services director mentions the @terrygoodkind /Seeker table(07:28), www.theuniquegeek.com/50-days-of-dragoncon-2011-day-35-sara-information-services "
"Just finished printing labels, signage and mini posters for the Seeker fan table at #DragonCon. We're ready." "The Sword of Truth quiz for the contests at our DragonCon fan table is ready!" "Working on edible giveaways for DragonCon"
"Preparing a box of goodies for the Seeker/Goodkind fan table at #DragonCon." 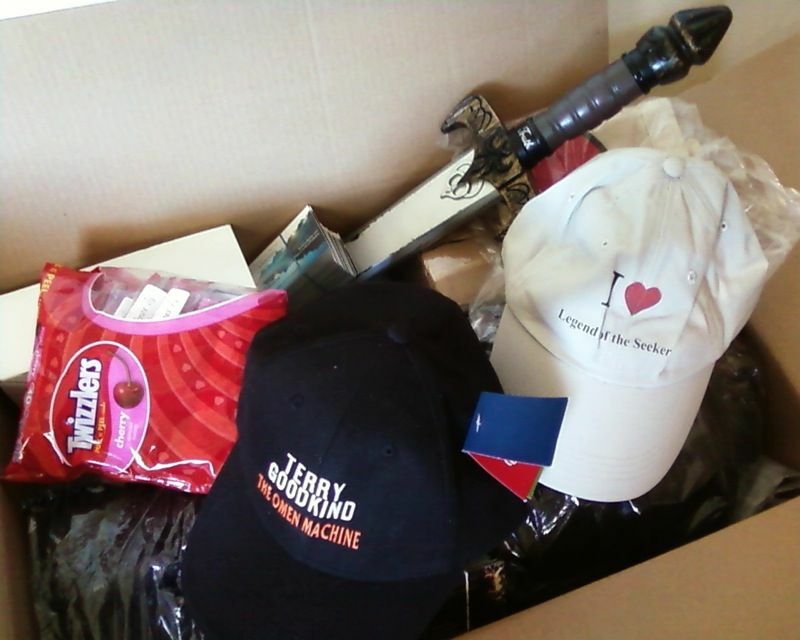 "These and more cool items are the prizes for the Terry Goodkind/Seeker contests at DragonCon." "Here are the "Firefighters" for #DragonCon. 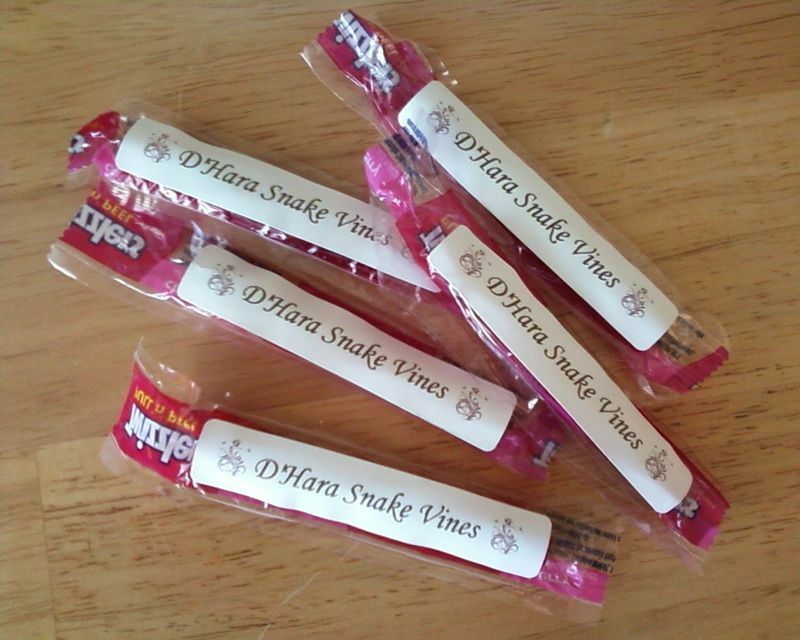 Other edible giveaways will be snake vines and apples." 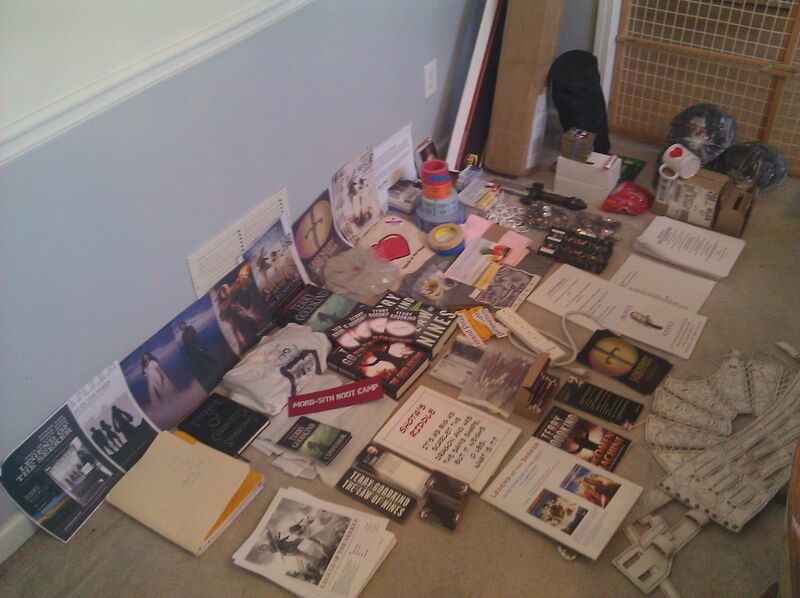 "Almost all the stuff for the Seeker fan table at #DragonCon is in Stephanie's leaving room. 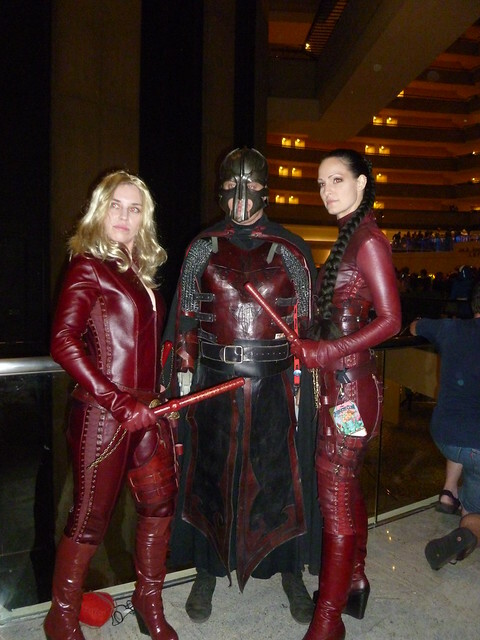 Mord-Sith leather.Yum!" "Legend of the Seeker Fans Photo Shoot dailydragon.dragoncon.org/dc2011/convention-news-2011/legend-of-the-seeker-fans-photo-shoot/ "
"The Seeker Cast #48 – Dragon*Con 2011 Preview - www.theseekercast.com/2011/08/the-seeker-cast-48-%E2%80%93-dragoncon-2011-preview/ "
"Booth at DragonCon is almost ready. We have the best location. You can't miss it!" 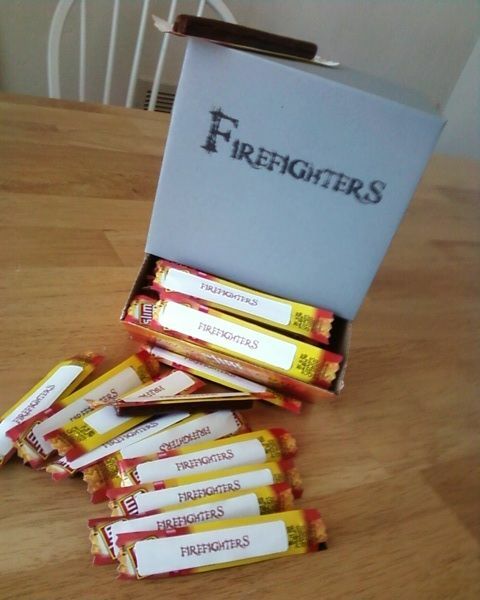 "I have firefighters in my backpack"
"A D'Haharan (@marriott1614) is eating firefighters. FTW!" "We already have 3 winners of the Seeker treasure hunt. Pics later." 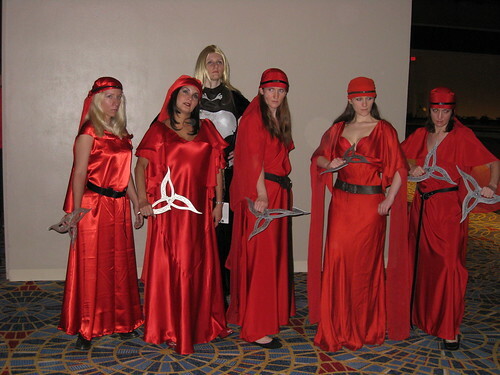 "Mord Sith at the booth!!!!!!!" "A Ravenclaw just sign a SOS postcard. Yay for cross-fandom support." "pic of Julie & I from Dragon*Con 2011"
"Here's a bit of the raw footage we have today, uncut. We all had a blast." "Annnnd Here's a little something a fan has been working on. It will premiere tomorrow at the fan table, but you guys get the first look!" "The 40+ people in costume are amazing!" "The best part of the first day at DragonCon was meeting @wonderjenn, Kevin Bachelder, @marriott1614, Stephanie, Mona, Jason, Sharon, Maria. Epic!" "Sorry I couldn't upload any pics earlier. There's no wireless connection at DC. Uploading preliminary pics at photobucket.com/DC-Seekers "
"Legend of the seeker photo shoot. #dragoncon t.co/Yt8Sk6F "
"The MARTA train is full of happy people with DragonCon badges"
"The @terrygoodkind panel starts at 11:30 at the Hyatt, Greenbriar room, conference center level." "The Goodkind panel was a success. Standing room only and everyone wants other Goodkind panels next year. Woooot!" "Denna is having ice cream. Squeeee!" "And 15 minutes after this pic was taken, it was literally standing room only." "Panelists on the 'Seeking Goodkind' panel at DragonCon"
"Full room at the 'Seeking Goodkind' DragonCon panel." "Video on the opening of the 'Seeking Goodkind' panel at DragonCon. We hope to share the full audio after the con. " "Brief video of some Seeker fans at the DragonCon Consuite meetup "
"Another video from the Seeker Consuite meetup at DragonCon"
"Goodkind Panel was awesome! Can't wait for ya'll to hear it!" "LOTS Consuite party 1 of 2 yfrog.com/ny95388381j "
"LOTS Consuite 2 of 2 yfrog.com/mnx69bj "
The Legend of the Seeker/Terry Goodkind fandom has converged to DragonCon 2011 bringing beautiful cosplayers, a fan table, panels, and a costume parade group. Hundreds of DragonCon attendees have stopped by the booth these past two days saying how much they love the show and the books (Legend of the Seeker is loosely based on "The Sword of Truth" novels by Terry Goodkind and is produced by Disney's ABC-Studio) and how much they would love to see at least a third season produced. While the novels are geared to an adult audience, the TV show managed to attract a very diverse crowd - from children, to adults of all ages, and like the books, the show is a big global success with an estimated 5 million fans and growing. Fans in costume are a big hit! 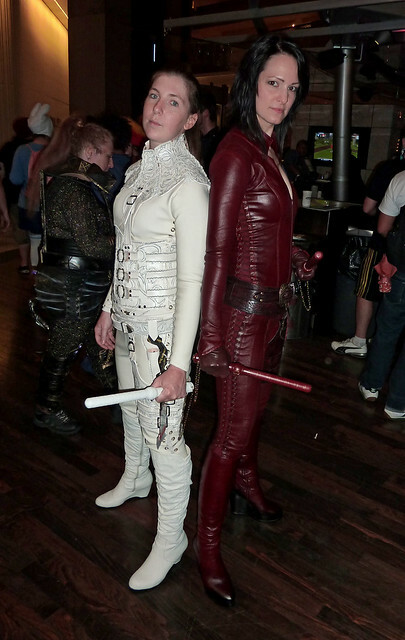 The Mord-Sith warriors in red and white leather are hard to miss and usually attract a big crowd of photographers. Some of the fans even have original show costumes that they purchased on eBay and could show off the magnificent craftsmanship of the costumes which are 100% handmade. Cosplayers were touched to see children walking to them during the costume parade as they recognized their favorite show characters. The "bookies" packed the conference room where the "Seeking Goodkind" panel took place to share how much they've been touched by Terry Goodkind's novels, talk about their favorite characters and themes. They all cheered and applauded at the end of the panel - and asked for more Goodkind-themed panels at next year's convention. 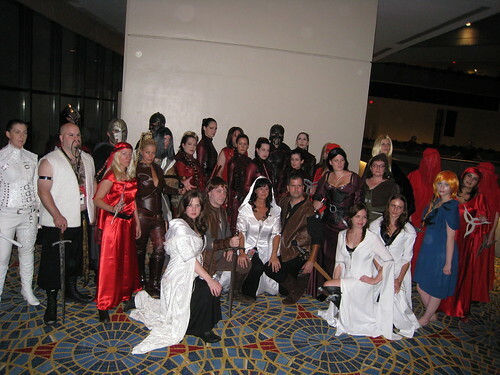 DragonCon is not yet over and Seeker/Goodkind fans are already planning for DragonCon 2012. What's not to love about this fandom! "Legend of the Seeker panel is today at 2:30, Marriott, room A704." "The edible snake vines are gone"
"More peeps are writing SOS postcards. Thank God for adhesive stamps"
"I just met an adorable 5-month old called Kahlan. Pic later." "I just bought Richard's necklace at DragonCon artist alley. FTW!" "The Legend of the Seeker panel was packed. Thank you everyone for attending and for all your passion." 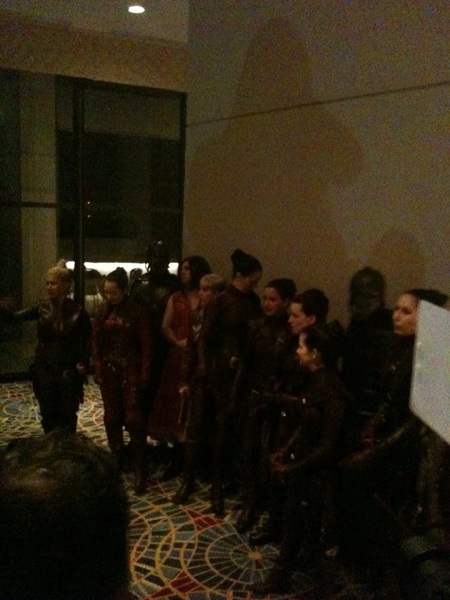 "At the legend of the seeker panel at #Dragon*con"
"A better pic of the panel #LOTS #Dragon*con"
So awesome!! Thank you Extremis!!! "A Sister of the Light at the booth brought more traffic." "Meet two big Seeker fans that volunteered for the fan table at DragonCon 2012. I love this fandom!" "Two Legend of the Seeker stunties stopped by the fan table earlier this am and I wasn't yet at the booth." "Fan tables are closed. 361 Days to DragonCon 2012. Mark your calendars! Bye Atlanta! See you next year." "Just landed at SFO. I'll upload more DragonCon pics as soon as I get home." 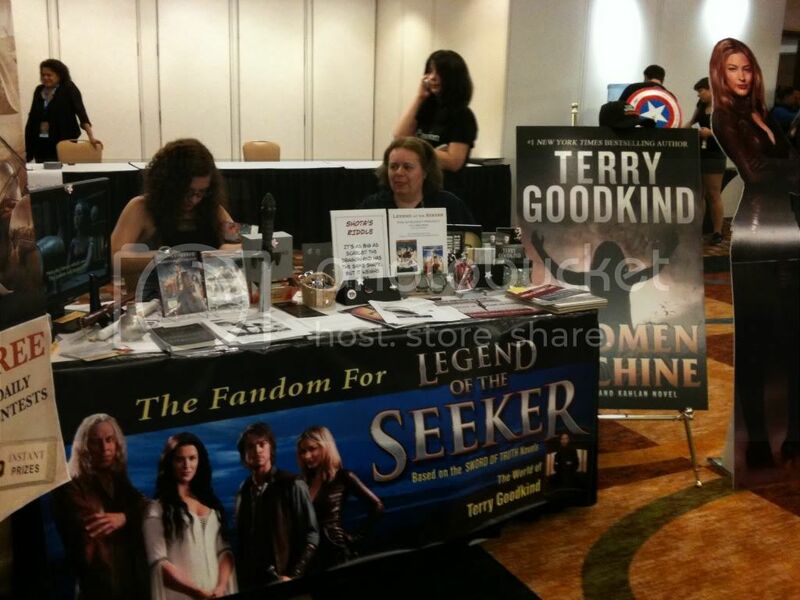 "There have been so many Seeker fans coming up to our fan table that it's amazing. All of them have been terrific about filling out the postcards. We've only encountered a few "Liked the books, hated the series" people. Almost everyone loves the books and the show. Great energy here. Now if we could only harness it and send it to the networks........ "
"It was amazing at the parade how many kids and families were into seeker! The support here is wonderful! If we get all the fans here to sign the postcards there may be hope yet!" "WOW. Every day just gets better and better! Videos to come, I'm so sorry it's taking so long, there's just so much great footage of everything and everyone I don't know where to start! I have to get on the plane back to Maryland tomorrow---WHYYYYYYYYYYYYYYYYYYYYYYYYYYYYYY!!!!!!!!!!!! I love everyone here, they're all terrific, and I never want to leave. I'm already planning for next year! I highly recommend it! " "I just uploaded 71 new photos to my photo bucket. (I can't figure out how to upload them to the community album...I don't use photo bucket much.) Squeeeeeee! ;-) These are awesome....I just can't believe the weekend is over. You guys are EPIC, EPIC, EPIC! I have to get through the next 361 days until I can be normal me again, but that will be 361 days I will have to look forward to seeing you all again. It was a pleasure to meet you all in person- Laura, Maria, Mona, Sharon! It's always nice to see my brother from another mother, Jason, and my friends Jenn and Kurt!...I love you guys! This was a truly memorable weekend. This is what you can accomplish together when you work together toward a common goal. I'm exhausted, but I couldn't wait to share them. Enjoy! Edit: And next year, we're all all planning on crowding into a few suites at the Marriott, so plan ahead!! More to come on that soon!" "Here's a quick vid I threw together covering a few of the highlights, enjoy! Love that little vid The Old One put together!! I remember some of those people from last year's D*C...Jennsen especially, she was SO sweet!! I am so envious but really glad that there was such a wonderful response for the books and the show. Congrats to all the organizers. "Just letting you know we have pretty much all the 600 SOS postcards filled out. Postcards are going out this week to BBC and The CW. Please send those letters! It's JBC-DragonCon letter flooding week!" "Uploading more pics: photobucket.com/DC-Seekers "
"And here's a fight scene!" Two more MUST SEE photo albums. "I didn't want the party to end. Can't wait until next year." @stephanie: You ARE a part of the group! A very nice lady who bought two, count them, two autographed DVDs! 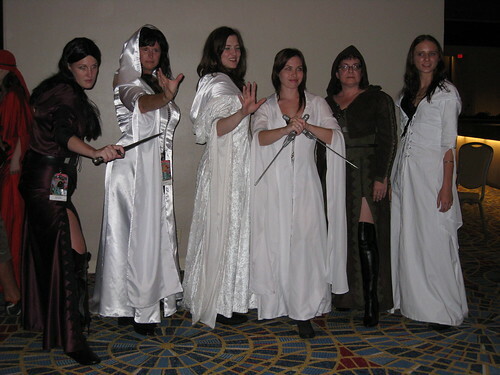 "For all those who might be interested, I have created a new Facebook Group called "Dragon*Con Legend of the Seeker" because it is never too early to start discussing NEXT year. The link is: www.facebook.com/groups/260181634013122/ and we are starting to come up with future panel ideas as well as a Parade list. More stuff to come as the year goes on, so feel free to pop over, join up, and share your ideas. I am sure that we ALL would love to see a Goodkind Track in the next few years, lets make it happen."